The Soup and Dessert were identical for Vegan and non-Vegan guests. Gently sautéed in Onion and Leek in Vegetable Oil without colour and then added Pearl Barley and Vegetable Stock.Bring to the simmer. Added diced Carrot, Parsnip and Potato. 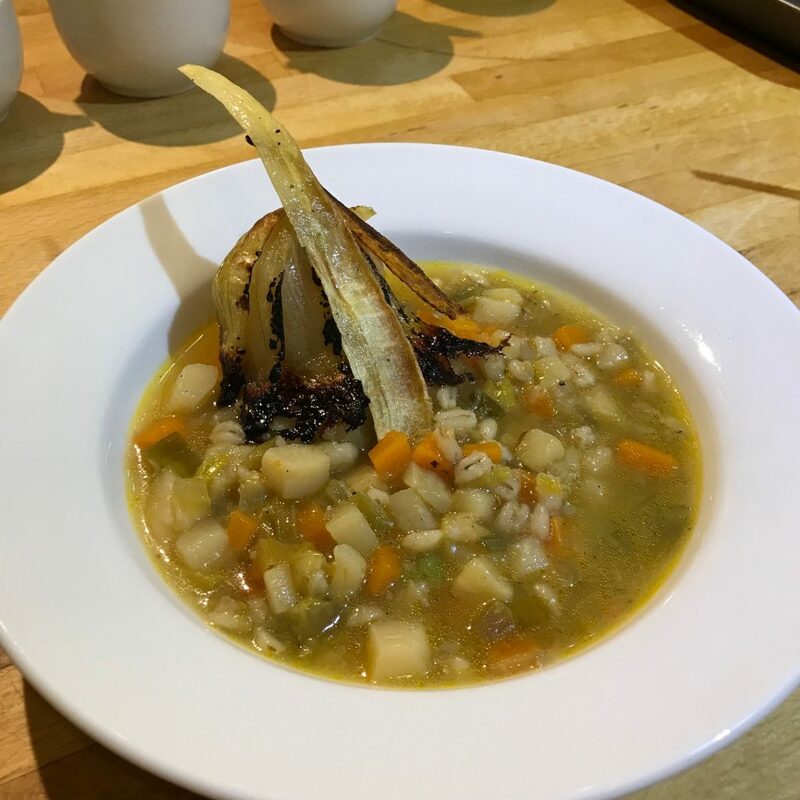 Simmered for several hours until reduce, vegetables tender and Pearl Barley cooked. Served with Roast Potato, charred Onion, Pommes Puree (Non-Vegans only), crispy Carrot and Parsnip. The Steak au Poivre is a Spanish Meat Ball mixture from a Smith and Daughters – A Cookbook (that happens to be vegan) – Page 86 which I shaped into a 7oz Sirloin Steak (too big – 6oz next time), coated in crushed Peppercorns and pan-fried in Vegetable Oil. Very convincing. Made the Pepper Sauce in the same pan with a little Shallot, Cognac and White Wine (all Vegan) and finished with Vegetable Stock and a Bechamel made from Soy Milk. 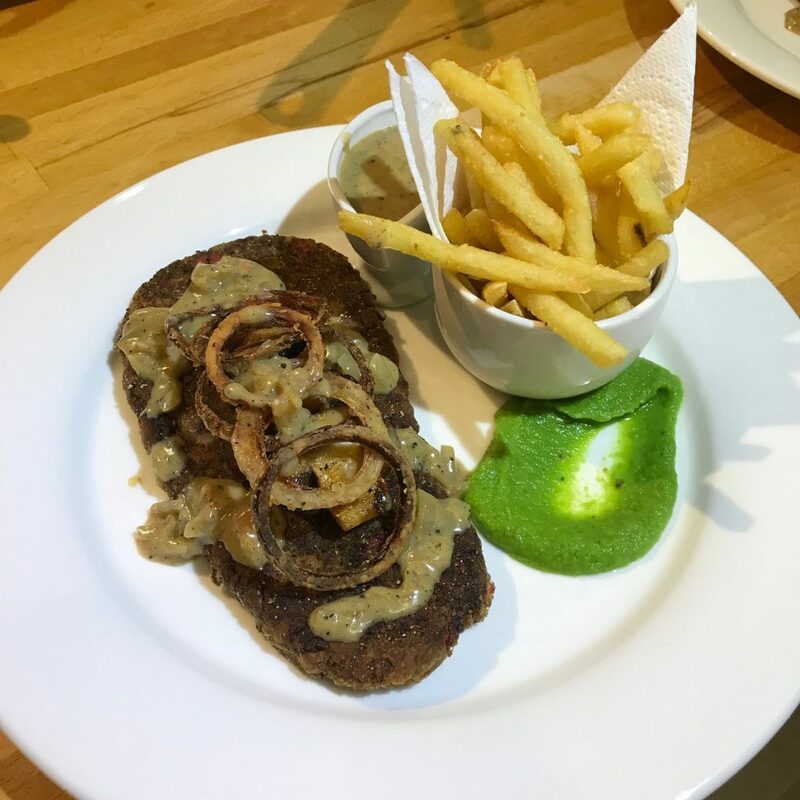 Served with Onion Rings, sauteed Mushrooms and Pea Puree. 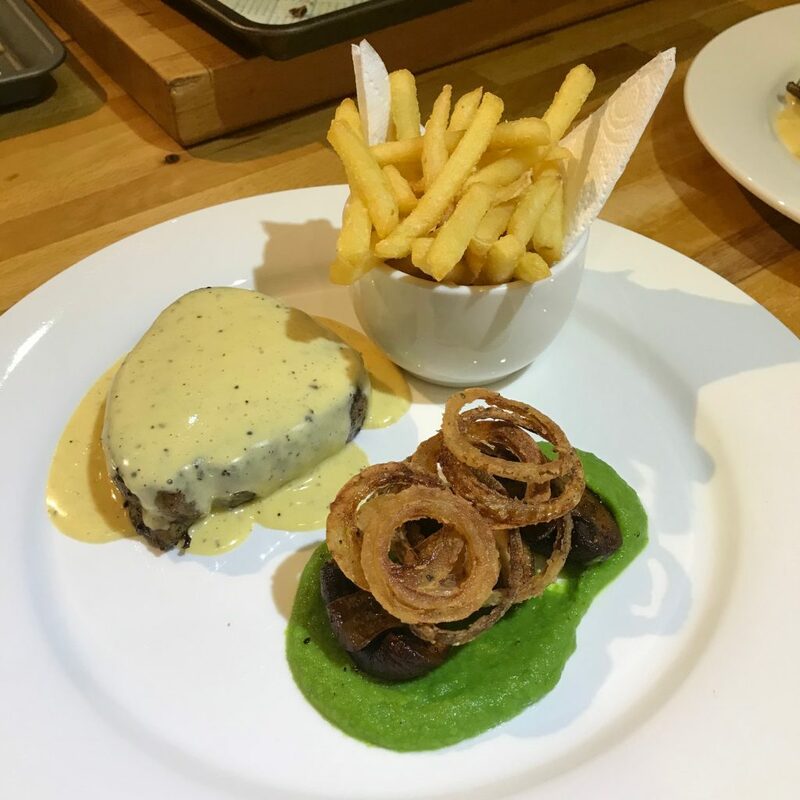 Fillet Steak was served as above but with Bernaise Sauce. It is simply the way to fly. 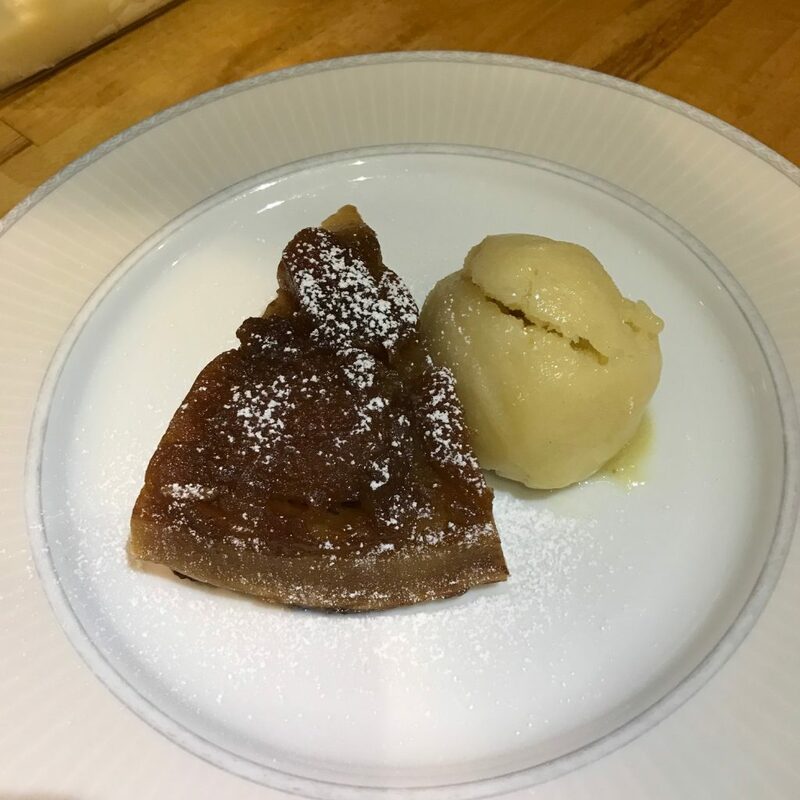 The Tart Tatin was made by sautéing the quartered and peeled Apples in Vegan Margarine, adding Dark Brown Sugar and then Apple Juice and Cinnamon. Brining to the boil, reduce to a simmer until caramelised. When thick and sticky I layered very thinly sliced Bramley Apple and topped with Pastry. Cooked for about 40 minutes in a medium oven. Could have done with another 10 I think. Served cooled with Apple Sorbet.